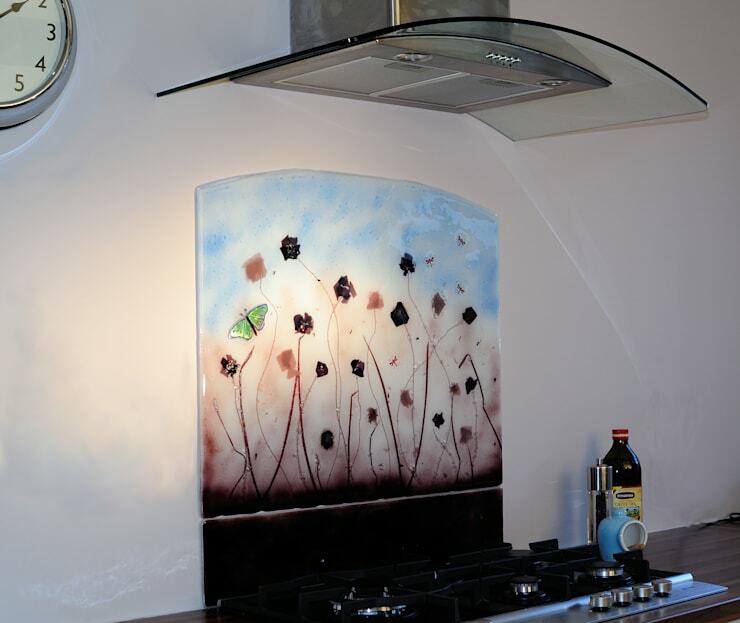 Our Field of Flowers Kitchen Splashback was a totally new commissioned piece for a flat in Exmouth Devon. The home owner (another Liz!) was in love with the colour purple, but also had a poignant link to blue butterflies which she wanted to incorporate into the panel. She had also seen previous work which had used copper inclusions, which we used as the basis to design and make something just for her. She was absolutely delighted, which meant we were too! 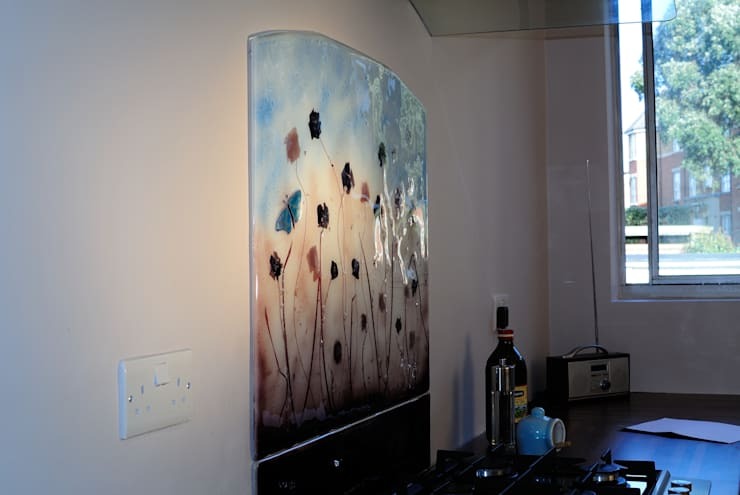 Handmade glass kitchen splashback commission.